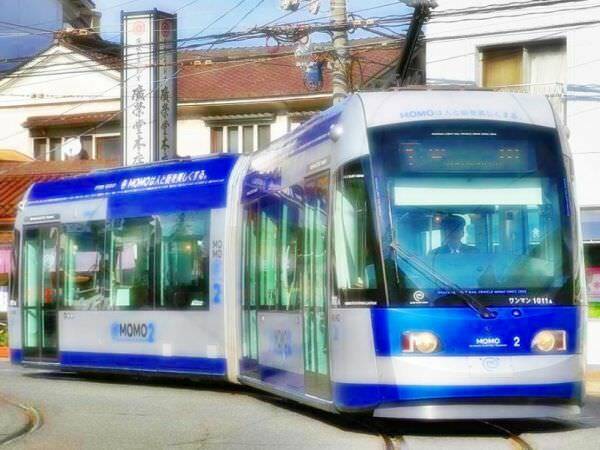 Momo is a nickname of Type 9200 tramcar operated by the Okayama Electric Tramway. 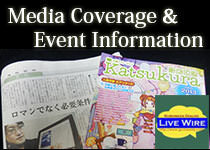 It runs through Okayama City, Okayama Prefecture, located to the east of Hiroshima (refer to #076). It opened in 2002 as a low-floor tram line and then a newer model called Momo-2 was introduced in 2011. 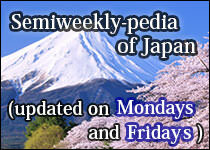 The name "Momo" derives from a peach, a specialty in Okayama, and a fantasy novel by Michael Ende.